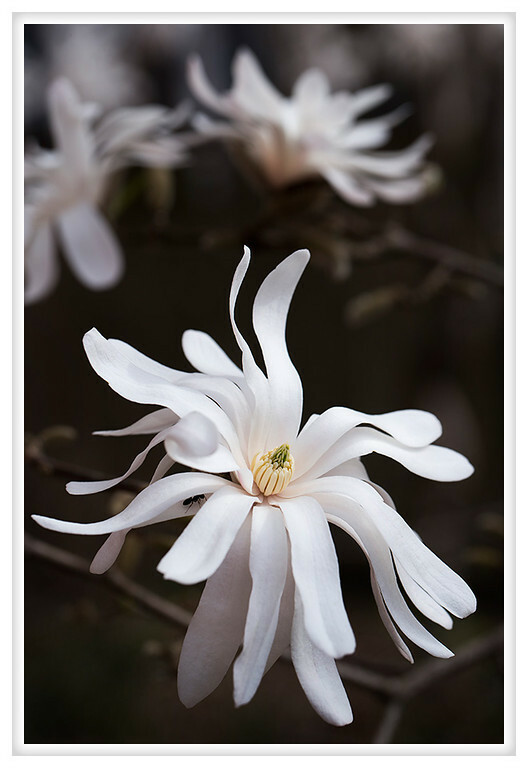 Next week I get more work done on my tattoo and star magnolias are a featured element. This photo is particularly apropos because insects are a major element and there is a small ant hiding in the petals of one of the flowers. Can't wait to see color introduced!